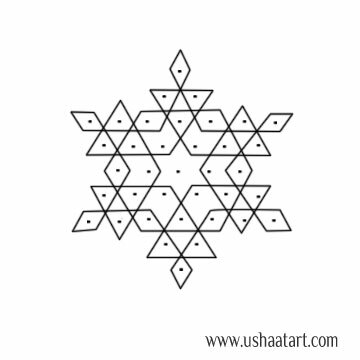 5 dots interlaced dots (Idukku Pulli) Kolam. 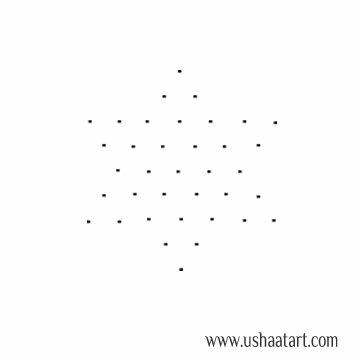 Put 5 dots, by putting interlaced dots (Idukku Pulli) stop at 3 dots. 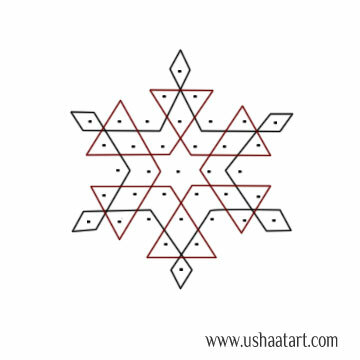 Put interlaced dots from 2 to 1 at 6 sides. 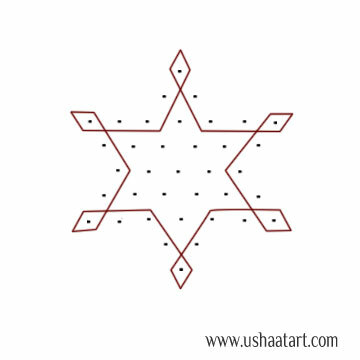 It looks like a star as shown below.